We had a great time celebrating the Queens 90th birthday. We celebrated in classes and then joined together with a 'Street Party' in the playground. 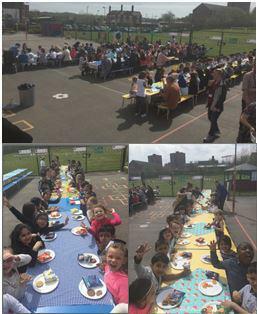 It was lovely to have lots of our families join us and the sun was shining on us all afternoon. Happy Birthday Queen Elizabeth!